For over 50 years, C Machine Co., Inc. has precision machining, prototyping and production services to clients. With a deeply involved history and knowledge of the industry, we offer reliable service that is guaranteed to meet or surpass your expectations. 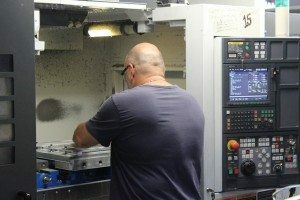 C Machine Co., Inc. provides precision machining services in long and short runs as well as prototype on most materials including stainless steel, aluminum, composites and many others. We offer several other services such as hardware installation, assembly, and screen printing among others. Plating and paint finishes are available by qualified and certified finishers. Looking to start a highly specialized project? Give us a call. We’ll go over details together and give you a fair estimate for the work needing to be done. To get started with our services here, please contact us through our web form or call 763-785-2056.